We are engaged in providing an excellent quality of Grouting Compound to our customers. 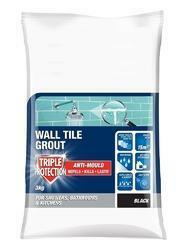 Backed by the rich experience and a competent team of professionals, we are able to offer Wall Tile Grout. The offered range of powder grouting compounds is suitably inspected in varied characteristics to ensure its adherence with the highest quality norms and standards. Along with this, the offered range of powder grouting compounds is available in different grades and allied specifications in accordance with the diverse requirements of esteemed clients.